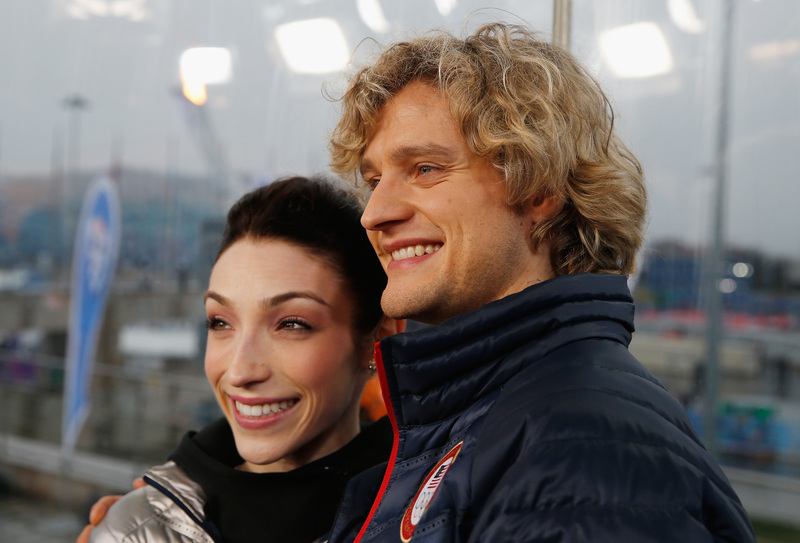 Charlie White Is Engaged & It's Not To Meryl Davis! Apologies in advance to anyone who thought a Charlie White and Meryl Davis relationship was still a possibility. Charlie White is engaged to his girlfriend Tanith Belbin. White announced the news himself via Instagram on Tuesday afternoon by posting a picture of himself and Belbin with the caption, "Couldn't ask for a more beautiful setting for the best time in our life! Hashtag she said yes!!!" While this means, that Cheryl will never be the best celeb couple portmanteau ever, Mermaks is still on the table because with White now engaged, everyone can turn their full attention to Davis' possible relationship with her Dancing with the Stars partner Maks Chmerkovskiy. Like White, Belbin is an ice dancer and won a silver medal in the 2006 Winter Olympics. She is also a television personality and was an ice skating correspondent for the Sochi Olympics. Plus, she has a name that makes her sound like a Lord of the Rings character. That's gotta count for something. Belbin shared her excitement about the engagement on social media as well. She retweeted a link to White's photo and added her own little heart and ring emoticons.